The Young Guns developmental program is specifically designed for our younger athletes focusing on developing skiing fundamentals based on the athlete's skill sets and the training objectives of the coaching staff. 1. 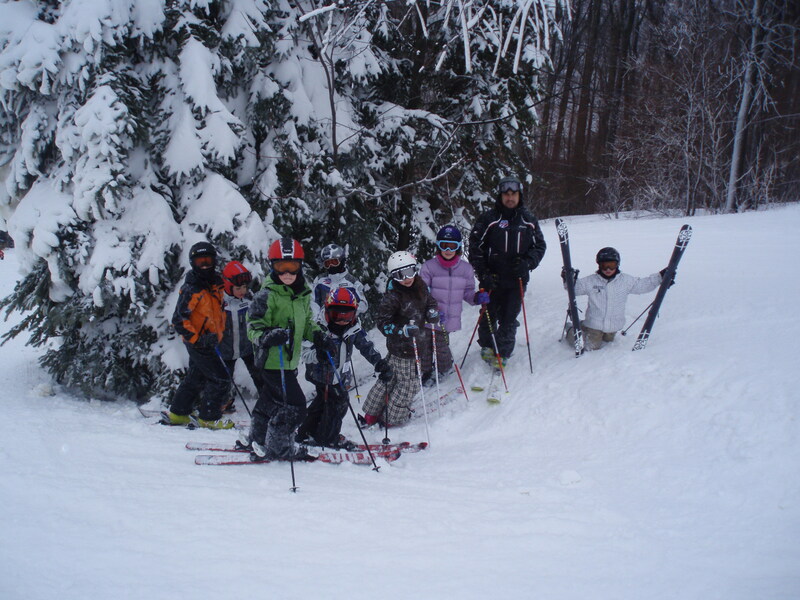 Practice skills to enhance their skiing / riding growth and development. 2. Develop proper on the slope etiquette so as to foster respect and safety. 3. Educate the athletes as to proper training techniques, rules and regulation so as to meet USSA / USASA competition requirements. 4. Keeping athletes in an age appropriate setting during their on the slope development. 5. Assist athletes in determining the area(s) and skills they are most interested in pursuing. 6. To foster a love of skiing / boarding while developing comradery and lifelong friendships. 7. Make skiing / boarding FUN!!! Try out athletes: For those athletes that are younger than 8, as of the season require a try out. These athletes may register early to receive the early bird discount. However, if they do not make the team the family will receive a refund for amount paid. Young Gun Countdown to fun 2013 from PA Cline on Vimeo. March Mogul Madness at 7Springs 2011 from PA Cline on Vimeo.